Beauty Paparazzi, houses Korean beauty products which are not only hugely popular in Korea but in Singapore too. And as we all know, most physical stores in town that sell such Korean brands are priced much higher. So you can save quite a bit when you spree online with Beauty Paparazzi. Featuring brands such as Etude House, The Skin Food to Laneige, your skin is in for a treat! And unlike certain shady online stores or sprees that are offering dirt cheap prices because their products are imitations. This blogshop only sell Korean products which are 100% authentic! They are also able to offer such attractive prices due to the bulk volume purchase they make. I got to sample one of the products they bring in and it’s a brand I’m new to. Innisfree is a natural brand that shares the benefits of nature from the pristine island of Jeju allowing for vibrant beauty and pursues an eco-friendly green life to preserve the balance of nature. I was real excited to try out this product. A sleeping mask that is enriched with wine extracts from France wine which creates a smooth jelly texture which helps to removes dead skin cells and to provide hydrating moisture. This is an interesting product and I think sleeping masks are heaven sent because these masks can be left overnight! No more falling asleep while masking and suddenly waking up to a dried up, wrinkled sheet mask. Opening up the jar, you get a faint whiff of what smells like a combination of berries and red wine. Lovely! The texture of the product is smooth with a rich, creamy consistency. Application is a breeze and this does not feel greasy or clogging on your skin. In fact, your pillow cases are saved from any yucky stains! After night skin regime, apply appropriate amount to face avoiding eyes and lip areas. Allow the testure to absorb and go to sleep. Wash off the following morning. I think everyone who spends almost their entire life in an air-conditioned environment should get this. If you sleep in an air-conditioned room, you need to give your skin ample hydration. And this wine jelly sleeping pack does just that, by sealing all the nutrients from your night time skincare regime. On top of that, it also provides additional moisture for the skin too. You can see the difference in your skin in the morning and trust me, you’ll love the effect. If you wanna try out the Innisfree Wine Jelly Sleeping Pack, please visit BEAUTY PAPARAZZI‘s store now! Travel kits that look this kawaii are a must get! 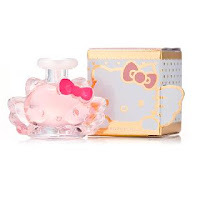 The Hello Kitty crazy girlfriend deserves some loving with this perfume! 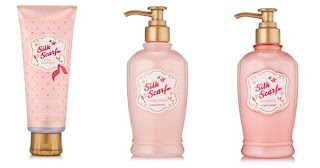 And you should pamper your hair with Etude’s Silk Scarf range. Check out Beauty Paparazzi’s FACEBOOK PAGE too!